Casey Dellacqua probably had some fuel left in the tennis tank but her heart was no longer in it. Ranked the world No.9 women's doubles player, Dellacqua retired from the sport in 2018 at age 33. The veteran said the decision would allow her to devote more time to partner Amanda Judd and children Blake and Andie. 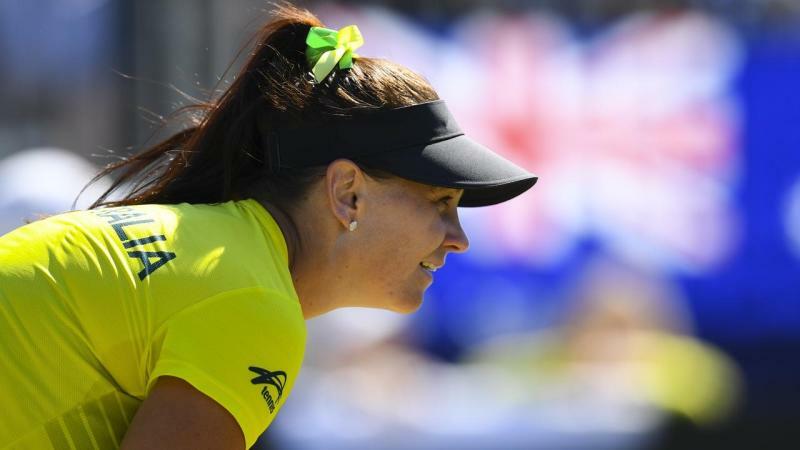 She bowed out after reigniting her successful combination with rising star Ashleigh Barty, helping Australia win their deciding Fed Cup doubles rubber over Ukraine to reach the World Group qualifiers. "It was always the highlight of my career." Born in 1985 to mechanic father Kim and receptionist mother Nita in Perth, Dellacqua started playing tennis at age seven and went on to study as a beauty therapist. Dellacqua turned professional in 2002 before making her Australian Open debut the following year. But it wasn't until 2008 that she tasted victory at Melbourne Park, beating 15th seed Patty Schnyder and two-time grand slam champion Amelie Mauresmo on her way to the fourth round. The run catapulted her to a breakthrough season, with career-best third-round appearances at the French Open and Wimbledon as well as a doubles runner-up finish partnering Francesca Schiavone at Roland Garros. In all, she reached eight doubles grand slam finals, seven of those coming with Barty, but never got over the hump. Though the West Australian managed to capture a mixed doubles grand slam in 2011, teaming up with American Scott Lipsky to take out the French Open. Dellacqua reached a career-high singles ranking of 26 in September 2014 after reaching the last 16 at the US Open. But she turned her focus exclusively to doubles when returning to the tour in 2017 following a serious head injury. A fall at the China Open in October 2015 saw her suffer concussion symptoms, sidelining her from the game for more than a year. The two-time Olympian hit out in 2017, tweeting "Margaret. Enough is enough" after Court wrote a public letter lamenting that Dellacqua's child would be "deprived" of a father. Dellacqua is now expecting her third child with Judd, due in March.